There are two ways to approach this album: free your mind by absorption into the lyrical content or just let this soothing piece of melodic roots music drift around your senses. There is no rule about seeking either or both approaches. It is entirely dependent on the mood of the listener. However ignore the record at your peril as you will be missing out on a singer-songwriter at the top of their game. 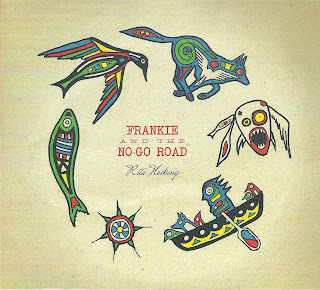 FRANKIE AND THE NO-GO ROAD is Rita Hosking’s sixth studio release since embarking out on a professional recording career and will certainly go down as one of the most mind inspiring and thoughtful records of 2015. As an artist Rita embodies all that is alluring about the country folk tradition. Modern labels such as Americana and roots also play their part in defining her music, but all you really need to explain her style is marry the three holy strands of sparkling writing, ear pleasing melodies and a pure musical sound. Lyrically the album can be whatever you want it to be. Rita has taken a thematic and conceptual approach leaving interpretation open to both literal and personal angles. The subject can be Frankie, Rita or you, dependent on an individual frame of mind. There is an undeniably abstract line of interpretation here, but you are dealing with the works of a creative artisan who hardly ponders to popular whims. If all this introspective analysis is getting too much, taking all twelve tracks at face musical value is a pleasurable experience. Several of the songs could quite easily be lifted as radio friendly plays on specialist music shows. Rita wraps her beautiful vocals around each one with the authentic instrumental accompaniment, ranging from banjo to harmonica, helping create a satisfying vibe from start to finish. Perhaps of most appeal is Rita’s knack of pouring her thoughts into a song structure perfectly formed to catch the attention of the curious ear upon first listen. For the record, Rita Hosking is a widely acclaimed singer-songwriter from California who has courted praise from astute industry bodies and individuals. A refined version of Mary Gauthier comes to mind. 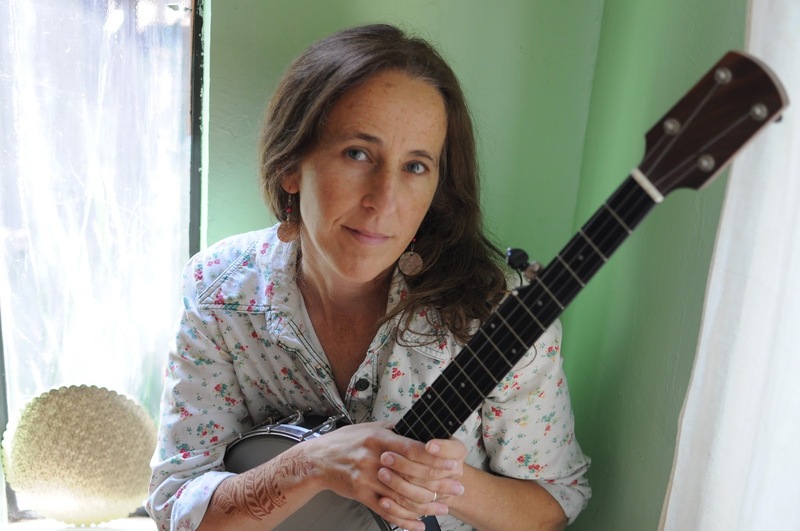 Rita works in tandem with husband and musical partner Sean Feder, the provider of Dobro, banjo, percussion and harmonies. They regularly tour the UK and hopefully greater recognition of the new record will lead to these being rolled out on a wider scale. Individual track analysis is superfluous in this review as they all possess first among high quality equals status. On the other hand, it is important to point out the thematic concept. The twelve tracks tell a literal story of a journey full of discovery, pondering, wisdom, challenges, reflection and ultimate realisation. Each track on the lyric sheet contains an interpretative strapline drawing in the listener/reader to a starting point. From then on, an open mind will take the songs in a multitude of directions. Frankly this is purely a personal analysis, but there is certainly no harm in stretching the brain occasionally. Rich in sound, strong on melody and brimming with imaginative writing is the perfect sign off for FRANKIE AND THE NO-GO ROAD by Rita Hosking. Make sure you check out this articulate artist adept at adding twang to the creative musings of her inner soul. Maybe that is something we all need in our lives sometimes.